See Similar is a program that tends to show various advertisements on the majority of the most popular shopping websites, for instance, amazon.com. As it tends to promote various products by showing different advertisements automatically, it is classified as adware. See Similar has its own search engine, which is seesimilar.com, where you can search for different brands and products. Even though it looks like a useful piece of software, you should not trust it as it might be a threat to the security of your computer. We recommend that you remove See Similar from your system because you will not be able to stop its annoying activities in any other way. As it is compatible with all the most popular browsers, you will not get rid of it if you change your default browser. Every time you move the cursor on the picture of a product, “See Similar” button will appear. If you click on it, a pop-up window offering you the best deals related to this particular item will be shown. 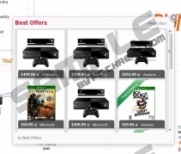 You might see various coupons brought “by Best Offers” as well. We advise you not to click on them because they might lead you to potential threats and cause danger to your system. It is because See Similar is not responsible for the content of the third parties, which means that you might be redirected anywhere. Because of this, there is always a possibility that you will be exposed to potential threats. If you want to keep your computer safe, you should not click on those offers. You should know that See Similar does not come alone. It has been found out that it is usually bundled with other programs, for instance, Driver Performer and PC Performer. If you want to avoid similar programs from getting onto your computer in the future, you should always follow the installation process carefully. This is needed in order to enable you to choose the custom installation and unmark all the unnecessary programs. If you ignore this advice, you might end up with a wide range of software on your system. Have you already noticed plenty of additional programs on your computer? We recommend that you remove those applications that you do not need. If you have decided that See Similar is not worth keeping onto your system, you always have a right to delete it from your computer. You can erase it manually using manual removal instructions that we have provided for you or you can scan your computer with a reliable antimalware tool and it will definitely do all the work for you. Our specialists recommend using SpyHunter. It will definitely remove See Similar and keep your computer protected. Besides, it is updated daily, which means that it is a very reliable antimalware tool. Click on the application which you want to remove and then select the Remove button. Click the Start button and then go to Control Panel. Find the program that you want to get rid of and right-click on it. Select All apps and found the Control Panel. Right-click on the See Similar and click the Uninstall button. Click on the extension and then click the Disable button. Open your browser and press Ctrl+Shift+A. Click on the extension that you want to remove. Go to Tools and then Extensions. Select the unwanted extension and then click the recycle bin button. Click the Remove button when the dialog box appears. Quick & tested solution for See Similar removal.